Apple has filed for a new Keyboard patent. The new patent is for a touch enabled glass keyboard. Apple has filed for a new patent which showcases a touch enabled keyboard. The filed patent shows shows multi-layers on the keyboard. The top layer and the bottom which houses the trackpad is shown to have a transformable piece of glass. This could presumably change based on the applications being used, similar to what we have seen with the touch bar on the new Macs. 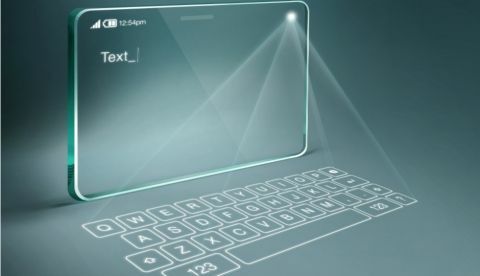 According to digital trends the “patent drawings show that first glass layer offers the ability to become altered, potentially allowing the bottom half of the case to house a touchscreen which could then become tactile when the user has the use for a keyboard. This solution would help to alleviate the lack of precise physical feedback from the touch surface when a button is pressed.” Put simply, this new patent shows a glass keyboard with raised portions to denote the placement of keys and give users feedback when each key is pressed. This could eliminate the need for moving parts in the keyboard reducing the chances of failure. The feedback could be similar to the haptic feedback we saw with the home button on the iPhone 7. The filed patent is simply called "Computer with keyboard" but it looks to be a lot more than that. Apple has been criticised for the butterfly mechanism on its keyboard, especially because dust manages to enter the keyboard housing. With the second generation, Apple added a silicone membrane to help with the problem. Bringing forth a touch enabled keyboard with raised positions for the keys could help eliminate the problem altogether, but how well it will work practically is something only time will tell. The touchscreen of a smartphone took some getting used to and has now become second nature for those that use a smartphone. How effective will a glass keyboard be and more importantly, how durable is a question that remains to be answered. 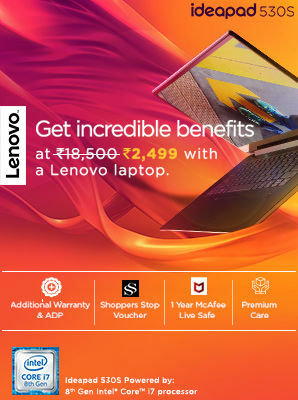 This isn't the first time that we have seen a touch enabled keyboard on a laptop. Lenovo has had the Lenovo Yoga Book with a second display that doubles up as a writing pad when wanted and a keyboard when needed. The trend didn’t take off because there is no way to get feedback from the touchpad keyboard. Hopefully, Apple’s patent for raised keys and feedback from the touch enabled keyboard will change that. Apple has been in the news for all the wrong reasons these past few weeks. A 14-year-old found a bug in group facetime that enables a user to eavesdrop on others. The Cupertino giant has been sued by a lawyer for the same. You can read more about the FaceTime bug here. Sales of the iPhone have declined in India and China due to the high price of the iPhone and competitive offerings from other brands. You can read more about the drop in sales of the iPhone here.